CarbonMiata engine covers MAZDA - MiataRoadster - Stay tuned with MiataRoadster! CarbonMiata engine covers replace the OEM plastic one. 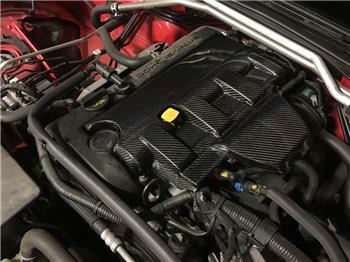 Made with high quality carbon fiber, it gives a nice and clean look to your engine bay.